favourite among Western Australia’s locals and tourists. This heritage gem is located in the inner city of Perth. The business has recently undertaken the refurbishment of its former Grapeskin restaurant. The result is the transformation into a themed sports bar aptly named Patriots after the American FL’s multi-championship team—the New England Patriots. 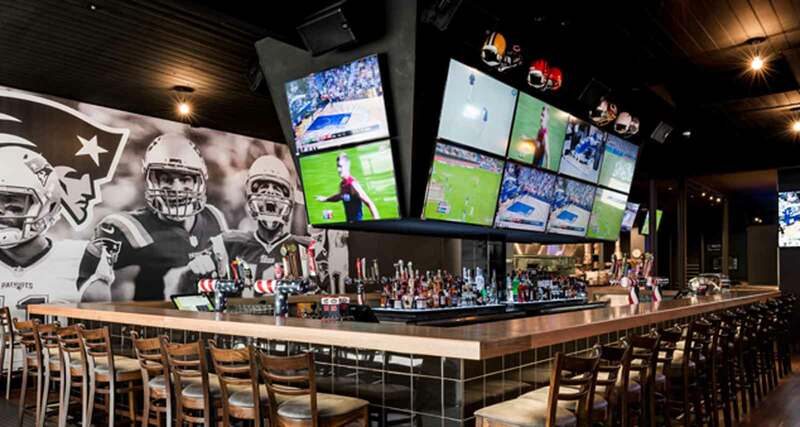 Now with the addition of the new sports bar, patrons will be able to take in the all-American experience it offers, while enjoying a game on the multi-stacked big screens. Top this with a 1kg bucket of chicken and a cold beer and you have the stuff many a sports fan’s dreams are made of! The refurbishment of the Patriots Bar included the installation of new under counter fridges within the wrap-around bar. This tackled the problem of delivering a large amount of storage with a minimal foot print. This was achieved through two custom remote Cameo pass through units with Williams’ new style, ripple glazed doors—improved for aesthetic purposes. This project was designed by Chris Arrell from Hospitality and Foodservice Consultants and was distributed by Nick Fields of KBR Commercial WA.